When it comes to eating up big miles on a snowmobile, nothing holds a candle to a feature-rich two-up touring sled. These sleds are big on comfort and amenities, which make those long rides a whole lot more pleasant for rider and passenger. 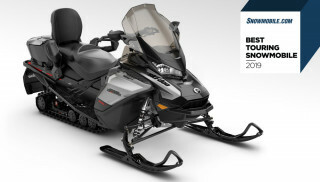 The winner of our Best Touring Snowmobile of 2019 award is the Ski-Doo Grand Touring Limited 600 E-TEC. 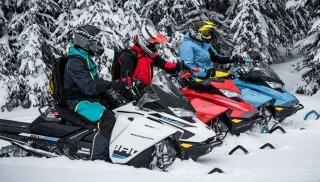 While Ski-Doo has a new turbocharged version of its 900 ACE three cylinder four-stroke available for 2019, we find the 600cc two-stroke twin to have nicely proportioned power that works well with the handlebar-operated air-ride rear suspension. For a long day in the saddle, the consistency and controllability of the 125-horsepower 600 E-TEC fits the bill for us. 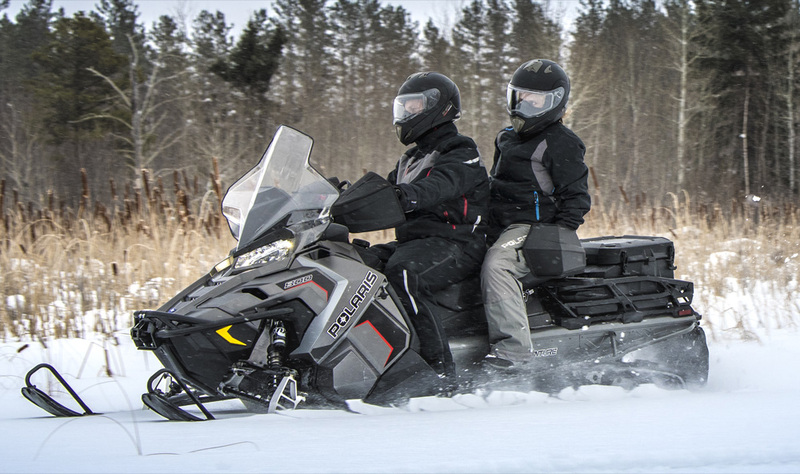 The Grand Touring Limited is built on the fourth generation of Ski-Doo’s renowned REV platform. As you would expect from a Ski-Doo touring sled, it is loaded with amenities you will appreciate on the trail. First and foremost is heated seat with two selectable heat settings. Also helping to keep you warm is an Ultra High windshield. Adding to the rider comfort is Ski-Doo’s adjustable handlebar riser, which allows you to move the bars to one of four different positions – providing four inches of fore and aft adjustability. Another bonus is a standard hard-top (and weather resistant!) storage bag that offers up 16.1 gallons of space. There is also a heated goggle box, which is great for storing a second pair of goggles in case yours fog up or get dirty, or you just want to switch to a lighter or darker lens. Other features include the SilentDrive 137-inch track system, push button reverse, electric start, and multifunction gauges. All of these features help make the Ski-Doo Grand Touring Limited 600 E-TEC the winner of our Best Touring Snowmobile award. And should you want to personalize your sled, Ski-Doo offers a wide array of accessories specifically for the Grand Touring line. 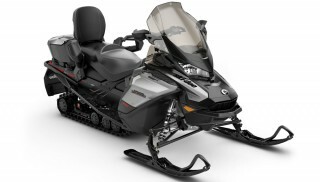 The Polaris Titan 800 also deserves mention and was the runner up for our Best Touring Snowmobile honors. It offers many of the same features of the Grand Touring and its cargo options allow much greater capacity for a weeklong tour.